We all love a good celebration; a chance to get our glad-rags on, catch up with friends and show off our best dance moves. And Brits find plenty of excuses to throw a big bash, too, but which ones are our favourites? In a lifetime of celebrations it’s really the weddings that stick with us, a new study has revealed. 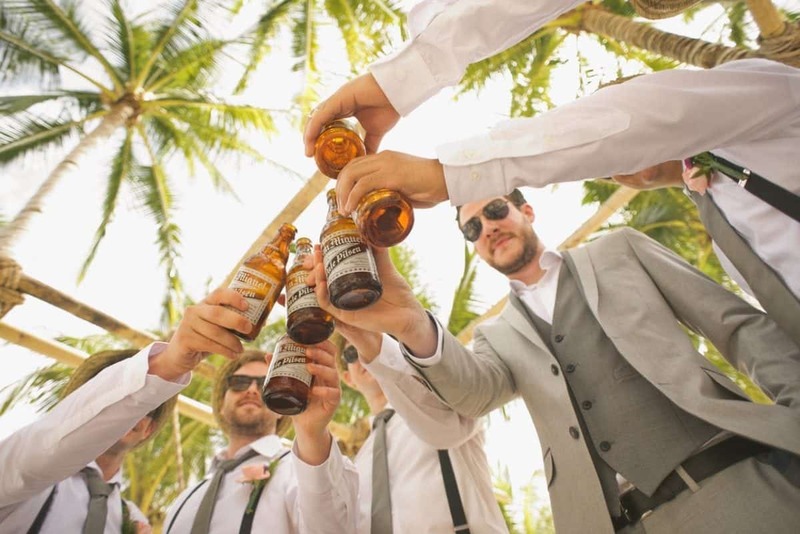 A survey of 1,000 over-50s showed that a third believe that their wedding day was the best celebration of their lives, followed by a friend’s nuptials. The survey of 1,000 older Brits by Regent Seven Seas Cruises also revealed that the ‘big 5-0’ was the best milestone birthday bash, ahead of our 21st. A spokesperson from Regent Seven Seas Cruises, who are celebrating their 25th Anniversary, said: “It’s really no surprise that weddings are the country’s favourite reason to celebrate. Given the opportunity to host a star-studded gathering, participants in the study would want a mix of the Hollywood elite, the Royal family and ‘national treasures’. Thirty eight per cent would welcome a visit from Dame Judi Dench, closely followed by Joanna Lumley and Dame Helen Mirren. Four in ten want to hear David Attenborough’s legendary chat at their dream party and a quarter think Stephen Fry’s quick wit could help make their celebration one to remember. A third of over 50s-crowned Prince Harry as the people’s Prince of Parties, with only one in ten putting Prince William on the guest list. President Donald Trump may be POTUS, but we’d rather see Barack Obama at the head of the dinner table. Just eight per cent thought the new President would make a good party guest, compared to Obama’s 33 per cent approval rating. A spokesperson from Regent Seven Seas Cruises added: “As we head into our 25th anniversary year, Regent Seven Seas Cruises feels like celebrating. The Celebrate with Regent campaign is available on selected itineraries, when booked by 31 March 2017. For more information or for specific itineraries included in the Celebrate with Regent campaign visit www.rssc.com/celebrate.